Home >> Our Providers >> Kevin R. Johnson, M.D. Dr. Johnson, a native Georgian, completed his bachelor's degree at Emory College of Emory University. He obtained his medical degree at Emory University School of Medicine. He completed both his internship and residency at Keesler Air Force Base in Mississippi, where he served as Chief Resident. Dr. Johnson is board certified and is a member of the American Academy of Pediatrics. He has also served as Chief of Pediatrics at Northeast Georgia Medical Center. Dr. Johnson is married and has three children. 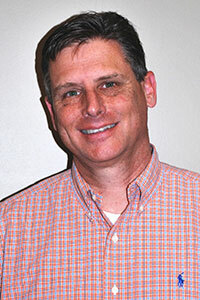 He has been with Pediatric Associates since 1994.